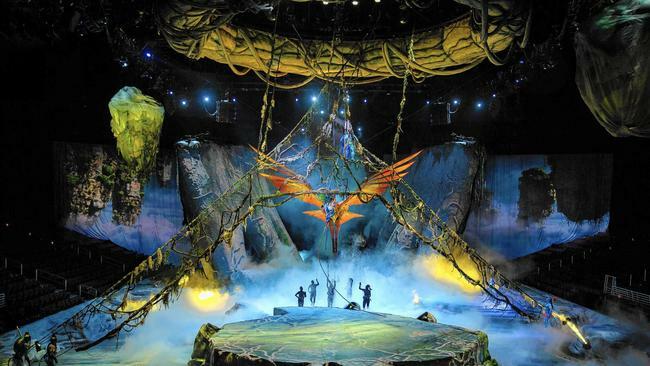 TORUK – The First Flight, inspired by James Cameron’s AVATAR, transports you to the world of Pandora in a visually stunning live show. 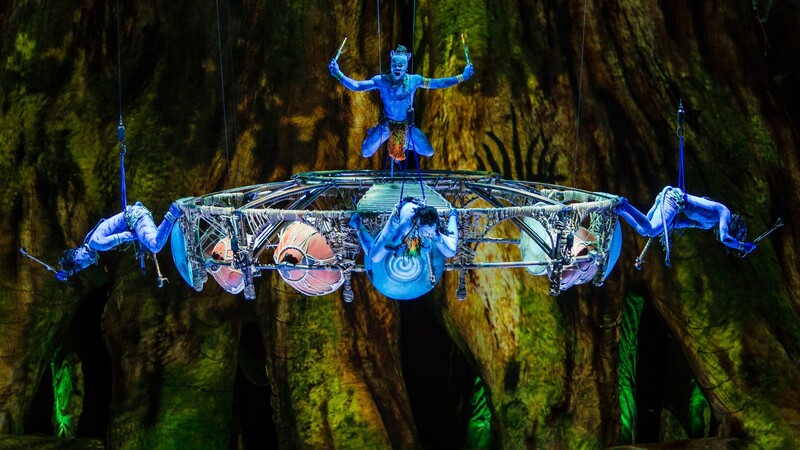 TWO of the biggest entertainment properties in the world — Cirque du Soleil and the movie Avatar — will combine for an arena tour of Australia this year. 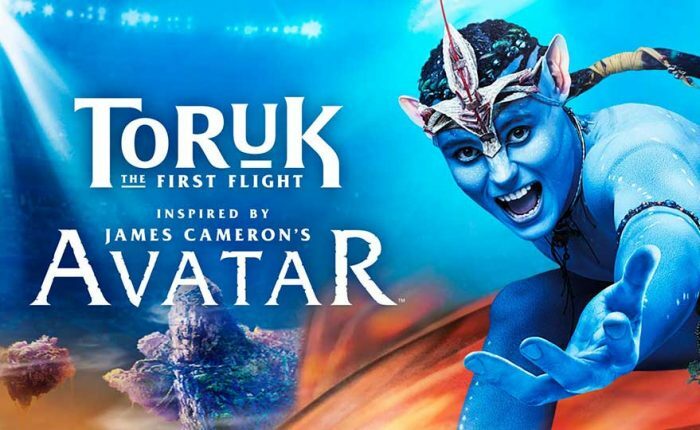 James Cameron’s 2009 sci-fi hit and highest grossing movie ever with global box office of $3.6 billion, is the inspiration for the Cirque du Soleil show, Toruk — The First Flight, which will visit Brisbane, Sydney, Melbourne and Adelaide in October and November. Toruk is set on the same moon, Pandora, and features the blue-skinned Na’vi characters, but the story takes place thousands of years before the events of Avatar. Like in the movie, this live show will star an Australian in the lead role. James Cameron was heavily involved in creating Toruk, which follows three young Na’vi on a quest to save Pandora, and may have sown seeds of ideas that will be included in the coming movie sequels. The special effects, costumes, and props are fantastic with the lighting and sound scapes immersing the audience in the show. The acts are visually stunning even without the usual amount of circus performances and acrobatics typical of Cirque du Soleil. But what the show lacks in death defying feats, more than makes up in the breathtaking visuals and scene changes! With great use of projectors and lighting, the whole arena is transformed! This show highlights the effectiveness of great visuals and the effortless way of making the audience feel part of the scene as the projection reaches the seating area. The technology and techniques being used are not new and have been applied on many large scale Events in the past with breathtaking results. Many venues can have the same treatment, whether it be a Gala Evening or Awards night. We have the facilities to be able to create almost any environment and incorporate almost any theme. By adding some live performances amongst the guests, you too can create unforgettable experiences for your attendees. Get in touch and and see how we can help you put on a breathtaking event!